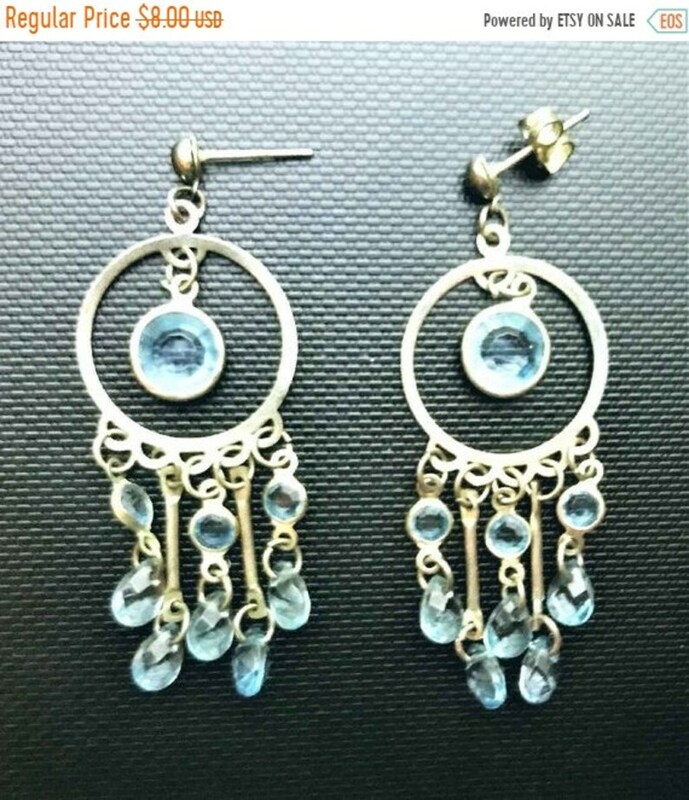 Description; Original Vintage piece from family estate........Light Blue Faceted Lucite Bead Dangle Earrings. Darling silver and ice blue, very retro, Bohemian with lots of movement. Amazing condition. They have been in a drawer for almost 50 years! !